I love helping people to tell their stories, especially with the communities I serve. I’ve been a firm believer that whoever tells the stories controls the narrative, so for me, besides the love of stories, it is a form of advocacy and is a way to help communities to control how their story is told and shared. This list may seem like it is asking a lot, but in all the years I’ve been doing storytelling, these are skills I have seen that are needed in order to have a great learning experience with your storytellers. What the end goal of the story project is. Where will these stories be shown. How and why they will they be used. What control will participants have over reproduction and distribution. We have a digital storytelling release form that every storyteller needs to sign. It clearly addresses the above, and is written with all possible ways the stories will be shared and participants are able to check off which ones they agree to, such as using the stories in an educational setting, a presentation at a conference, and/or the company internet site, etc. In the workshop pre-planning stages, we work with the funding organization to answer these questions and customize the release form to each workshop. Please note: The release form only covers the final published video, we do not keep the images or any other story development items – those belong to the storyteller, as does the finalized story, and we are granted permission to use those stories per the release form. This is only a snippet of what makes a good facilitator, and will talk more about Ethics in Storytelling again. As a storytelling guide (facilitator), you encounter all kinds of stories and to cause no harm in your story work. Sometimes with some of those stories emotions happen, and you as the facilitator need to ensure you provide safe space for all, resources, and help if need be. If you are not comfortable with strong emotions, certain topics, and being able to hold safe space for all the storytellers, maybe being a storytelling guide is not for you, and that’s OK. There is so much you have to consider when you decide to step into this type of facilitation role; besides handling strong emotions, your language, including your body language, needs to be as neutral as possible, and you don’t offer advice, but instead, ask questions to help guide the conversation. There is also power dynamics within your group you need to be aware of as well as cultural diversity to think about. You also have to realize it’s not about you. Being a facilitator is NEVER about you, it’s about the learners, the storytellers, and the stories. You also need to understand and respect that each storyteller brings something to the table – so the learning process is dynamic, a 2-way process, and not about how much you know or about your stories. Not a link but you should look at your state’s requirement, and your organization’s requirement for “Mandated Reporting” there’s somethings you may hear that require you contacting public safety officials, such as Elder abuse or child abuse. This is by no means a complete list, just things to help you think about as you start your storytelling journey, and to help you think about what kind of training you’ll need before guiding your first story workshop. Story on peeps, story on. Once upon a time, we shared our stories as a way to share our knowledge to help us all go forward together, to learn, to know what was safe and acceptable, and what wasn’t. It was the way we grew as people and survived. We shared our stories, we heard them, helped where needed, and we all moved on. It provided a cultural framework for sharing our ways of being. There are many other purposes of story that have been used in our communities, however for many years, we were silenced and were not able to share our stories. Silence then became a way of survival, of showing strength, of hiding shame, of silencing our way of being. We need to share our stories to help our communities and those who will come after; to once again learn from our stories, honor our stories, and help us all grow forward. In the words of David Walsh, author, “Whoever Tells the Stories Defines the Culture”. 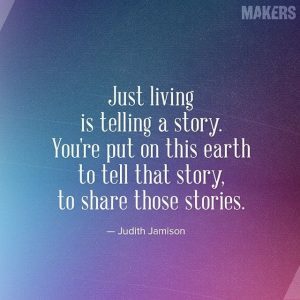 So who are you letting tell your story? 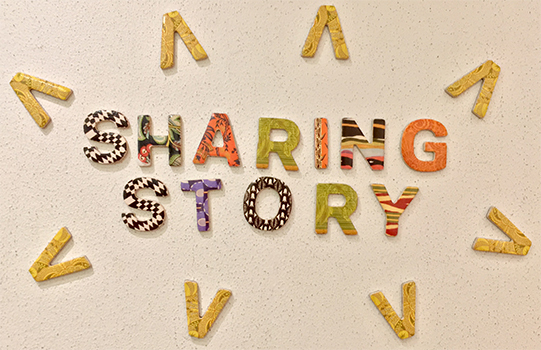 Who is telling your community story? Today’s post is going to be a little different. Instead of focusing on the mechanics of writing, I’m going to dive into something more important: you need to tell your story. Here’s why. For a lot of us, this has been a rough year, a tiring year, a painful year. And whether or not it is clear to you, no doubt the universe is unfolding as it should. Therefore, be at peace with God, whatever you conceive Him to be. And whatever your labors and aspirations, in the noisy confusion of life, keep peace in your soul. 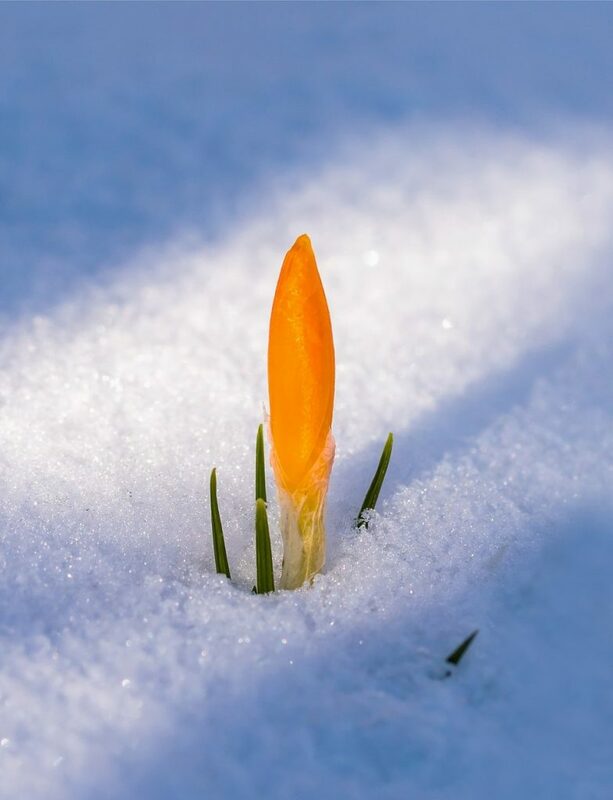 With all its sham, drudgery and broken dreams, it is still a beautiful world. Be cheerful. Strive to be happy.